OATA has created new guidance to help retailers answer questions on whether tropical fish can be kept in unheated conditions. The advice document is there to help shop owners who may get asked by their customers about this issue. The guidance lists the fish species which are not suitable for keeping in an aquarium that does not have a heater and those that may tolerate this, subject to certain conditions. “We’ve been asked on a number of occasions about whether species that are generally regarded as tropical should be kept in unheated aquaria,” said Chief Executive Keith Davenport. “The species under consideration are usually described as tropicals but may be described as temperate because they can live quite happily at lower temperatures than would normally be found in heated aquaria. “To help with those questions from hobbyists, we’ve written the guidance document for retailers to give the best advice when asked. 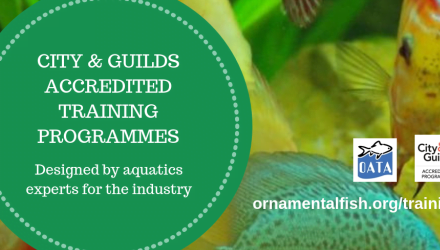 In the guidance, we outline the species we don’t think are suitable for unheated aquaria and a list of the species we think can tolerate these conditions. “We also make clear in the advice that we’re talking about unheated aquariums that are kept in centrally heated rooms, and if retailers are in any doubt then they should always err on the side of caution. The guidance document can be found in here.